Sometimes I arrive just when God's ready to have somone click the shutter. You don't fall in love with someone because it's convenient. Time is but timing of God. Most of what makes a book 'good' is that we are reading it at the right moment for us. Books only change the world if the world is capable of digesting them. Time is really just organized timing. Time can make anything by timing. 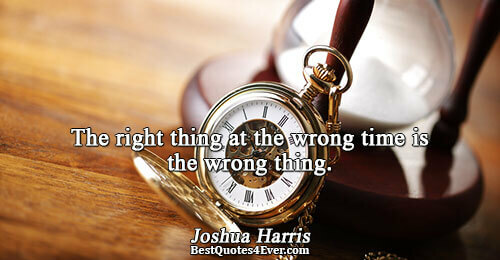 Timing is time, time timing. All of life is a dispute over time and timing.